Written in an authentic, conversational style, Aloof is easily accessible to those who don't know much about the Bible, yet the message is still theologically informed and culturally relevant. This book will help you process how God acts uniquely towards us, depending upon each stage of life. The chapters include contemporary real-life stories that normalize the experience of an often hidden God, while also aiding the reader to acknowledge the very real moments (rare though they may be) when God has shown up in a tangible way. 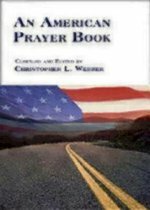 This well-researched anthology looks at American history through the prayers its people have offered over the past two-and-a-half centuries. Prayers are drawn from a wide variety of faiths, including Judaism, Islam, and Christianity. Prayers from American history: Prayers said on historic occasions such as Washington's funeral, the American Revolution, the death of George Washington, the slave trade and abolition, the Civil War, the death of Abraham Lincoln, the Industrial Revolution, the Spanish-American War, the First World War, the Second World War, the Clinton impeachment crisis, the 9/11 attack, and more. Placed in the context of twentieth-century moral disaster--war, genocide, the Holocaust, the atomic bomb--Forche's ambitions and compelling third collection of poems is a meditation of memory, specifically how memory survives the unimaginable. The poems reflect the effects of such experience: the lines, and often the images within them, are fragmented discordant. But read together, these lines, become a haunting mosaic of grief, evoking the necessary accommodations human beings make to survive what is unsurvivable. As poets have always done, Forche attempts to gibe voice to the unutterable, using language to keep memory alive, relive history, and link the past with the future. In Angels by the River, James Gustave "Gus" Speth recounts his unlikely path from a southern boyhood through his years as one of the nation's most influential mainstream environmentalists and eventually to the system-changing activism that shapes his current work. Born and raised in an idyllic but racially divided town that later became the scene of South Carolina's horrific Orangeburg Massacre, Speth explores how the civil rights movement and the South's agrarian roots shaped his later work in the heyday of the environmental movement, when he founded two landmark environmental groups, fought for the nation's toughest environmental laws, spearheaded programs in the United Nations, advised the White House, and moved into a leading academic role as dean of Yale's prestigious School of Forestry and Environmental Studies. Yet, in the end, he arrived somewhere quite unexpected-still believing change is possible, but not within the current political and economic system. Throughout this compelling memoir, Speth intertwines three stories-his own, his hometown's, and his country's-focusing mainly on his early years and the lessons he drew from them, and his later years, in which he comes full circle in applying those lessons. In the process he invites others to join him politically at or near the place at which he has arrived, wherever they may have started. Kat Banakis is on her way to becoming a Christian minister. Maybe. Part memoir, part practical theology, Bubble Girl is the story of a young, edgy woman from a big, loud, ethnic Chicago family, deciding who she wants to be as a Christian adult. The book seamlessly weaves together iconic tales of those in their twenties and thirties - isolation, unemployment, virtual and real relationships, and rodent infestations - with theological reflection. Blending Mary Karr, Rob Bell, and Tina Fey, the author highlights humor and holiness in a soul "coming of age" story. The United States has a long history of religious pluralism, and yet Americans have often thought that people's faith determines their eternal destinies. The result is that Americans switch religions more often than any other nation. The Chance of Salvation traces the history of the distinctively American idea that religion is a matter of individual choice. Lincoln Mullen shows how the willingness of Americans to change faiths, recorded in narratives that describe a wide variety of conversion experiences, created a shared assumption that religious identity is a decision. In the nineteenth century, as Americans confronted a growing array of religious options, pressures to convert altered the basis of American religion. Evangelical Protestants emphasized conversion as a personal choice, while Protestant missionaries brought Christianity to Native American nations such as the Cherokee, who adopted Christianity on their own terms. Enslaved and freed African Americans similarly created a distinctive form of Christian conversion based on ideas of divine justice and redemption. Mormons proselytized for a new tradition that stressed individual free will. American Jews largely resisted evangelism while at the same time winning converts to Judaism. Converts to Catholicism chose to opt out of the system of religious choice by turning to the authority of the Church. By the early twentieth century, religion in the United States was a system of competing options that created an obligation for more and more Americans to choose their own faith. Religion had changed from a family inheritance to a consciously adopted identity. Over twenty-five years ago two Americans, Dr. Diana Frade and her husband, Episcopalian Bishop Leo Frade, founded Our Little Roses Home for Girls in San Pedro Sula, Honduras. Until then abandoned girls were often given to prisoners since no such homes existed. Now Our Little Roses has some 60 rescued or orphaned girls in a city once considered the "murder capital of the world." Poverty and violence--especially in the past 25 years attributed to deported Los Angeles-based gangs--has affected the lives of all in the poorest Spanish-speaking country of the hemisphere. Unaccompanied youth from Honduras were among the 100,000 refugees, which also included children and youth from El Salvador and Guatemala, arriving to the United States between 2013 and 2015. American poet and Episcopalian priest Spencer Reece spent two years at Our Little Roses teaching poetry to girls who have lost family due to poverty, violence, and disasters like Hurricane Mitch that struck Honduras, Nicaragua, and Guatemala in 1998, resulting in 22,000 people dead or missing, 2.7 million homeless, and $6 billion in damages. This book has essays by Reece and Luis J. Rodríguez as a backdrop to the girls' voices, and a foreword and afterword by poets Marie Howe and Richard Blanco. Luis and his wife Trini, a poet, teacher, and indigenous healer, also helped teach at Our Little Roses and the Holy Family Bilingual School inside a walled compound in one of the city's poorest neighborhoods. Here poetry and stories transcend the pain of loss that often goes unexpressed. Here poetry serves as a beacon of hope and inspiration in the shadows. Here poetry can save lives. When Kelly Cogswell plunged into New York's East Village in 1992, she had just come out. An ex-Southern Baptist born in Kentucky, she was camping in an Avenue B loft, scribbling poems, and playing in an underground band, trying to figure out her next move. A couple of months later she was consumed by the Lesbian Avengers, instigating direct action campaigns, battling cops on Fifth Avenue, mobilizing 20,000 dykes for a march on Washington, D.C., and eating fire--literally--in front of the White House. At once streetwise and wistful, Eating Fire is a witty and urgent coming-of-age memoir spanning two decades, from the Culture War of the early 1990s to the War on Terror. 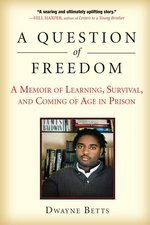 Cogswell's story is an engaging blend of picaresque adventure, how-to activist handbook, and rigorous inquiry into questions of identity, resistance, and citizenship. It is also a compelling, personal recollection of friendships and fallings-out and of finding true love--several times over. After the Lesbian Avengers imploded, Cogswell describes how she became a pioneering citizen journalist, cofounding the Gully online magazine with the groundbreaking goal of offering "queer views on everything." The first in-depth account of the influential Lesbian Avengers, Eating Fire reveals the group's relationship to the queer art and activist scene in early '90s New York and establishes the media-savvy Avengers as an important precursor to groups such as Occupy Wall Street and La Barbe, in France. A rare insider's look at the process and perils of street activism, Kelly Cogswell's memoir is an uncompromising and ultimately empowering story of creative resistance against hatred and injustice. The reign of Mary Tudor has been remembered as an era of sterile repression, when a reactionary monarch launched a doomed attempt to reimpose Catholicism on an unwilling nation. Above all, the burning alive of more than 280 men and women for their religious beliefs seared the rule of Bloody Mary into the protestant imagination as an alien aberration in the onward and upward march of the English-speaking peoples. In this controversial reassessment, the renowned reformation historian Eamon Duffy argues that Mary's regime was neither inept nor backward looking. Led by the queen's cousin, Cardinal Reginald Pole, Mary s church dramatically reversed the religious revolution imposed under the child king Edward VI. Inspired by the values of the European Counter-Reformation, the cardinal and the queen reinstated the papacy and launched an effective propaganda campaign through pulpit and press. Even the most notorious aspect of the regime, the burnings, proved devastatingly effective. Only the death of the childless queen and her cardinal on the same day in November 1558 brought the protestant Elizabeth to the throne, thereby changing the course of English history." The Five Quintets is both poetry and cultural history. 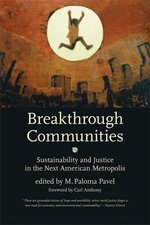 It offers a sustained reflection on modernity--people and movements--in poetic meter. Just as Dante, in his Divine Comedy, summed up the Middle Ages on the cusp of modernity, The Five Quintets takes stock of a late modern world on the cusp of the first-ever global century. Celebrated Irish poet Micheal O'Siadhail structures his Quintets to echo the Comedy. Where Dante had a tripartite structure ( Inferno, Purgatorio, and Paradiso), O'Siadhail has a five-part structure, with each quintet devoted to a discipline--the arts; economics; politics; science; and philosophy and theology. Each quintet is also marked by a different form: sonnets interspersed by haikus (saikus), iambic pentameter, terza rima, and two other invented forms. The Five Quintets captivates even as it instructs, exploring the ever-changing flow of ideas and the individuals whose contributions elicited change and reflected their times. The artists, economists, politicians, scientists, and philosophers O'Siadhail features lived complex lives, often full of contradictions. Others, though deeply rooted in their context, transcended their time and place and pointed beyond themselves--even to us and to a time after modernity's reign. The ancient Horace commended literature that delivered profit with delight. In The Five Quintets, Micheal O'Siadhail has done just that: he delights us in the present with his artistry, even as he reveals hidden treasures of our past and compels us toward the future. 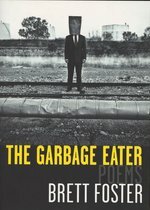 The "Garbage Eater" of the title poem in Brett Foster's provocative collection is a member of a religious sect (some would say cult) in the Bay Area who lives an ascetic life eating scraps from dumpsters. Just as this simple way of life exists within the most technologically advanced region in the world, Foster's poems are likewise animated by the constant tension between material reality and an unabashed yearning for transcendence. The titles of Foster's poems--"Like as a ship, that through the Ocean wyde," "Meditation in an Olive Garden," "Little Flowers of Dan Quisenberry" --nod to the poems of the classical, medieval, and Renaissance masters he studies as a scholar. In Foster's vivid imagination, however, they point to the surprises hidden in the quotidian: a trip to the DMV, a visit to a chain restaurant, and the saintly reflections of the Kansas City Royals' best closer. A lesser, more faddish writer would then tend toward ironic distance, but Foster fearlessly raises such unfashionable subjects as joy, doubt, gratitude, and grief without losing a sly sense of humor, even (as the sample poem shows) about poetry itself. Given its ambition, The Garbage Eater hardly seems a debut work. Foster's universal subject matter and approachable style will win fans among both the most experienced poetry readers and those easily intimidated by contemporary verse. In his latest collection, Globe, Micheal O'Siadhail explores how a world is shaped. How do the past and our memories bear on the present? What kind of people help to alter the dynamics of history? How do we face the open wounds of irreversible tragedies and loss? The book's climactic sequence, Angel of Change, catches the mood of immense changes in our times: cyberspace and non-stop trading, mixing of peoples and blurred boundaries, vulnerable and shifting values and in all of this a strange new jazz of possibility - 'Born in a land, I wake in a globe.' This publication marks Micheal O'Siadhail's 60th birthday. The present work is based upon Flusser's 1968 edition of Jesus. Yet, with the passage of 30 years, the new volume has been essentially rewritten to incorporate the wealth of new data. Whereas the previous book, now out of print, represented the beginnings of Flusser s investigation into the historical Jesus, the present volume is its culmination." In this new collection, Michael O'Siadhail measures how a life can be lived in the intensity of 'our double time', alert to its threats, ambiguities and frailties, seizing pivotal moments and tracing the intricacies of families and friendships. It is a common--and fundamental--misconception that Paul told people how to live. Apart from forbidding certain abusive practices, he never gives any precise instructions for living. It would have violated his two main social principles: human freedom and dignity, and the need for people to love one another. Paul was a Hellenistic Jew, originally named Saul, from the tribe of Benjamin, who made a living from tent making or leatherworking. He called himself the "Apostle to the Gentiles" and was the most important of the early Christian evangelists. Paul is not easy to understand. The Greeks and Romans themselves probably misunderstood him or skimmed the surface of his arguments when he used terms such as "law" (referring to the complex system of Jewish religious law in which he himself was trained). But they did share a language--Greek--and a cosmopolitan urban culture, that of the Roman Empire. Paul considered evangelizing the Greeks and Romans to be his special mission. "For you were called to freedom, brothers and sisters; only do not use your freedom as an opportunity for self-indulgence, but through love become slaves to one another. For the whole law is summed up in a single commandment, 'You shall love your neighbor as yourself.'" The idea of love as the only rule was current among Jewish thinkers of his time, but the idea of freedom being available to anyone was revolutionary. Paul, regarded by Christians as the greatest interpreter of Jesus' mission, was the first person to explain how Christ's life and death fit into the larger scheme of salvation, from the creation of Adam to the end of time. Preaching spiritual equality and God's infinite love, he crusaded for the Jewish Messiah to be accepted as the friend and deliverer of all humankind. In "Paul Among the People, " Sarah Ruden explores the meanings of his words and shows how they might have affected readers in his own time and culture. She describes as well how his writings represented the new church as an alternative to old ways of thinking, feeling, and living. Ruden translates passages from ancient Greek and Roman literature, from Aristophanes to Seneca, setting them beside famous and controversial passages of Paul and their key modern interpretations. She writes about Augustine; about George Bernard Shaw's misguided notion of Paul as "the eternal enemy of Women"; and about the misuse of Paul in the English Puritan Richard Baxter's strictures against "flesh-pleasing." Ruden makes clear that Paul's ethics, in contrast to later distortions, were humane, open, and responsible. "Paul Among the People" is a remarkable work of scholarship, synthesis, and understanding; a revelation of the founder of Christianity. Louis Simpson. This selection, taken from nine books, includes all of Hail! Madam Jazz (1992) -- chosen the best poetry book of the year by the London Sunday Tribune -- and A Fragile City (1995). At once a study of biblical theology and modern Jewish thought, this volume describes a "participatory theory of revelation" as it addresses the ways biblical authors and contemporary theologians alike understand the process of revelation and hence the authority of the law. Benjamin Sommer maintains that the Pentateuch's authors intend not only to convey God's will but to express Israel's interpretation of and response to that divine will. Thus Sommer's close readings of biblical texts bolster liberal theologies of modern Judaism, especially those of Abraham Joshua Heschel and Franz Rosenzweig. This bold view of revelation puts a premium on human agency and attests to the grandeur of a God who accomplishes a providential task through the free will of the human subjects under divine authority. Yet, even though the Pentateuch's authors hold diverse views of revelation, all of them regard the binding authority of the law as sacrosanct. Sommer's book demonstrates why a law-observant religious Jew can be open to discoveries about the Bible that seem nontraditional or even antireligious. Scripture & Song is the newest title in The Worship Lifestyle Devotional Series. Take a month-long journey, using scripture and lyrics, in order to strengthen your walk with the Lord. Each daily devotional reading is a short poetic lyric with the scripture that inspired each song written by the author. Space is provided after each chapter for reflection, thoughts and prayer. Whether you are looking to be bold in your praise or are in need of a place to turn for comfort and rest; Scripture & Song has a verse and a lyric for everyone! A sparrow like a "fumbled punch line" is lost in an airport; a man translating Ovid is transfigured by witnessing a massacre in Jamestown in 1621; a woman smiles seductively as the skin on her back is opened out like a wing; a lizard upon a laptop shimmers with the true life, primitive and binary, of our modern information age. In the sonically rich, formally restless poems of this debut collection, Song & Error, the thread that unravels all we think we know of the world is plucked loose and drawn from a seal's beached corpse. Uniting past and present, history and autobiography, Averill Curdy's poems strive to endure within "the crease of transformation" and to speak-sing-of that terrible beauty.